We’ve been working on this much-loved bed style for months. After all it wouldn’t be right to have simply produced a standard sleigh bed. 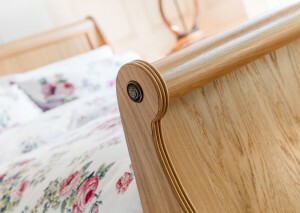 Like all of our products we make, our sleigh bed had to be something more than just a beautiful bed. And so, as always there’s a twist…. 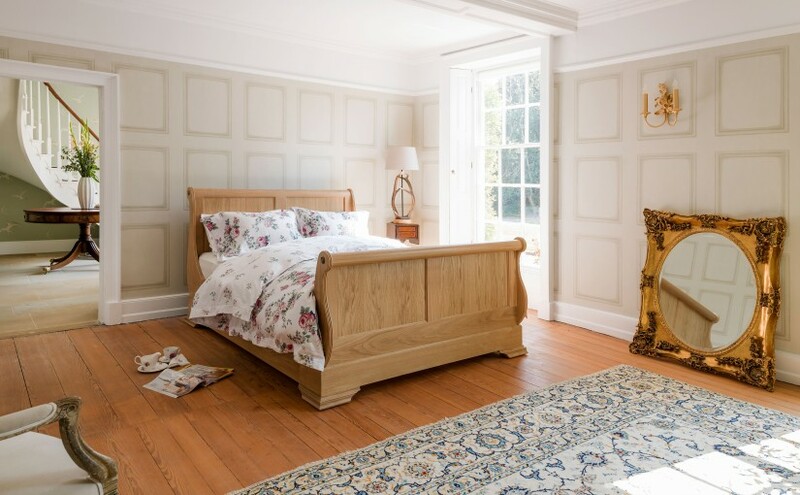 Our wooden sleigh beds are handmade using only the finest of materials including oak, walnut, mahogany and any other quality hardwood you like, and here’s the best bit…. they’ve got masses of hidden storage too. Sleigh Beds have a distinctive curved or scrolled foot and headboard, which in some models leans in to create a sense of movement. But what makes sleigh beds so popular? Is it a romantic notion of Christmas, or the evocation of stately yet charming horse-drawn sleighs? Who can say? 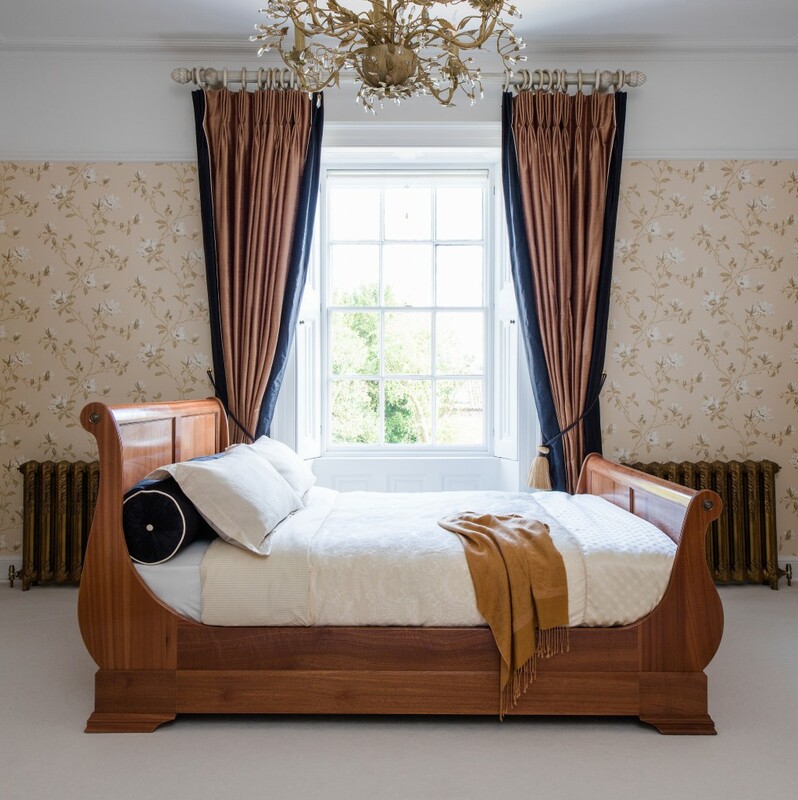 But what we do know is that sleigh beds first appeared in the ancient empires of Greece and Rome, so they’ve certainly been around a while! Perhaps they were initially associated with success because they vaguely resembled imperial chariots, and it’s an association that’s survived to this day. Whatever their origin, making a sleigh bed is a time consuming process that demands a huge amount of skill. To achieve the distinctive curve, the wood has to be crafted in exactly the right way. As a result, it’s taken us a while to develop our range, but we believe that our efforts have more than paid off. 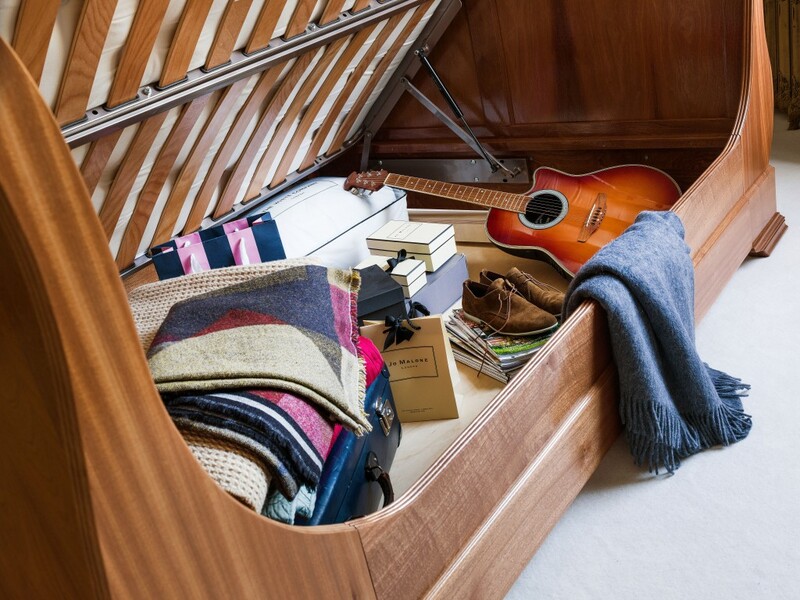 The result is a stunning selection of sleigh storage beds available in oak,walnut, mahogany, cherry, and hand painted finishes. Making our sleigh storage beds isn’t an automated machine process. It’s more of a labour of love. Each and every one is hand crafted and carved from solid wood in our dedicated Nottingham workshop. Every aspect of their design must be perfect. Whilst this means that the process takes a while, the end result is more than worth the wait. 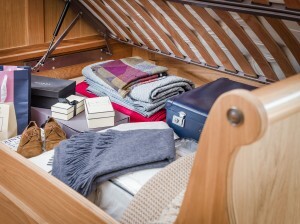 On top of that, our sleigh beds have up to 1000 litres of storage space, depending on the size of the bed. Despite the beautiful header and footer, they’re little bigger than the size of the mattress. So as well as looking so beautifully solid and stately, they also save you space. We can make our sleigh storage beds in all sizes, right up to a massive 7′ super king, and we can even build them to accommodate continental mattresses. 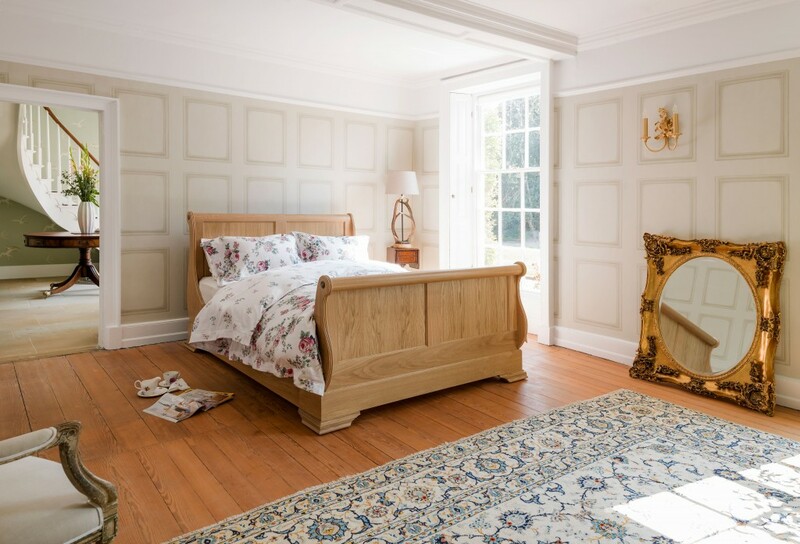 Our sleigh beds are stunningly beautiful pieces of handmade furniture, and the only true way to appreciate them is to see one for yourself. For more information, or to book a viewing appointment, give us a call on 0208 451 6999.